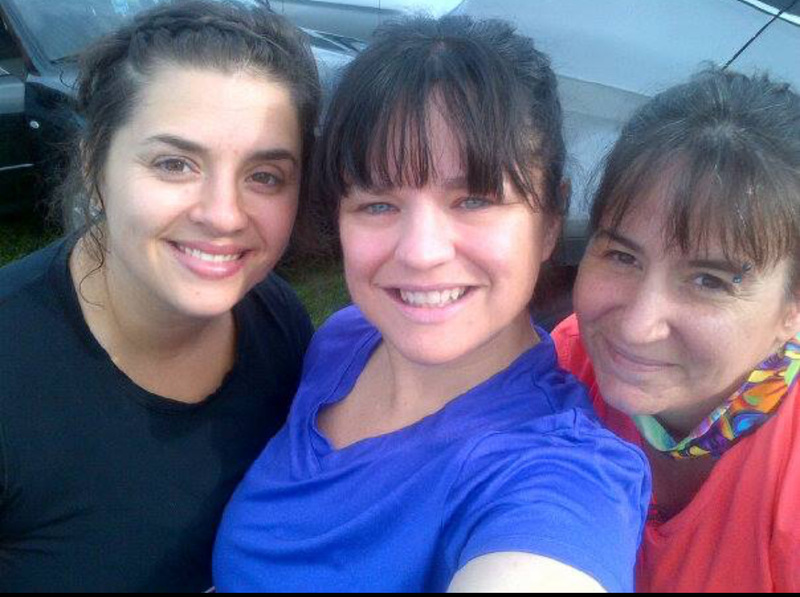 Erica MacMillan poses with her friends Angela Stewart and Cheryl Donovan after a race in Hampton. When we asked Erica (Findley) MacMillan to join us for the Running Whys, she submitted her story (which is below) along with some biographical info, such as her name, the fact she was 27, born and raised in Saint John, was a substitute teacher, married, a mother of twin three-year-old boys….and a runner. The last point has helped all aspects of her life and in the past few years, she has taken on many challenges, including the Marathon by the Sea. She is back again this year and she outlines her story below. 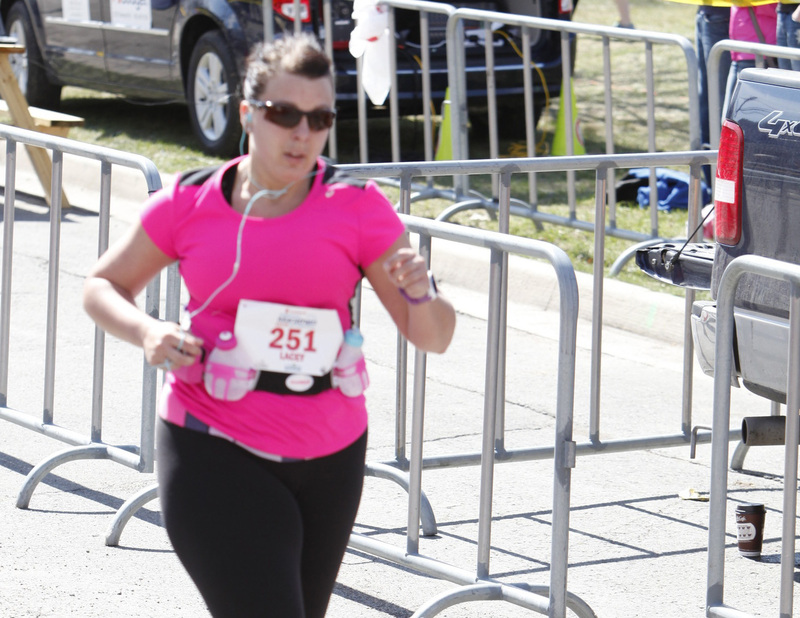 This is the eighth story in a series profiling runners who will compete in the 2oth anniversary running of Emera Marathon By the Sea Marathon in Saint John. The stories are also running on the MBTS Facebook page and MBTS website. Editor’s note: Lacey Clowater has come full circle in the running game, from aspiring runner to course conductor to this spring – a half marathoner. But as she prepares for the 12 k event at the 20th anniversary running of Emera Marathon By The Sea, she does so with additional inspiration gained from her closest allies. These are the same people whose touching display of support in the final stages of the Fredericton Half Marathon provided Lacey with an emotional and lasting memory that will never fade away. They have also helped her gain a special sense of appreciation for all she has accomplished in a relatively short time.